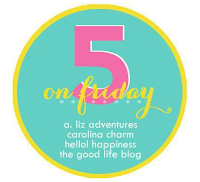 Another Friday, another fave five! This week was a little busier for once, and a little less drab. 5.) Grocery shopping is not exactly the most exciting outing, but Lucy is the best little shopper. She loves to go and always finds a comfy position in the cart! 4.) Our MOPS group held a play date in the park this week, complete with Popsicles and a picnic lunch. Lucy really enjoyed it, but the only photo I snagged was of her being mesmerized by all the craziness going on. 3.) Last night I snagged several great bargains online. I got these cute, nautical baby blankets for Parker for just $5 after my free shipping code and coupon. 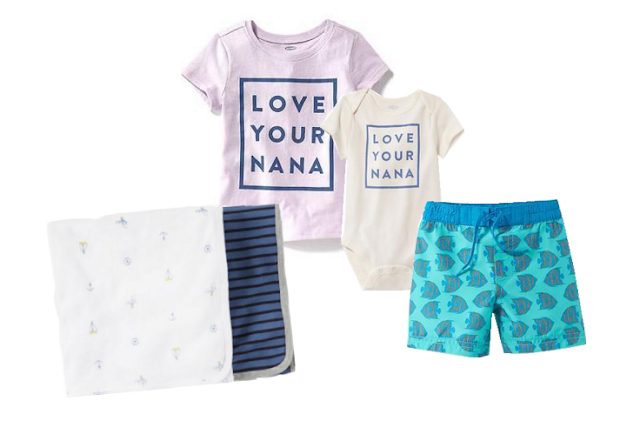 Then I took advantage of my Old Navy super cash last minute and scored these adorable "Nana" shirts for both kiddos (Lucy, Parker) and a pair of tiny swim trunks for Parker to wear this summer. It totaled to $25 before the $10 super cash, but by some stroke of luck I was able to double it with the 30% off deal happening online + free shipping, making my total just under $12 for all 3! 2.) Today is my 37 week appointment (only a day away from 38 weeks) so I'm hoping to see some progression in that department ;) I can't wait to meet this little guy, even though sometimes I feel like I can wait a loooong long time. I go back and forth between feeling completely prepped and ready to being in total freakout mode over what's not been cleaned or folded and packed...it's a mess, but I'm learning to enjoy these last days of pregnancy and devote as much attention to Lucy as I can. 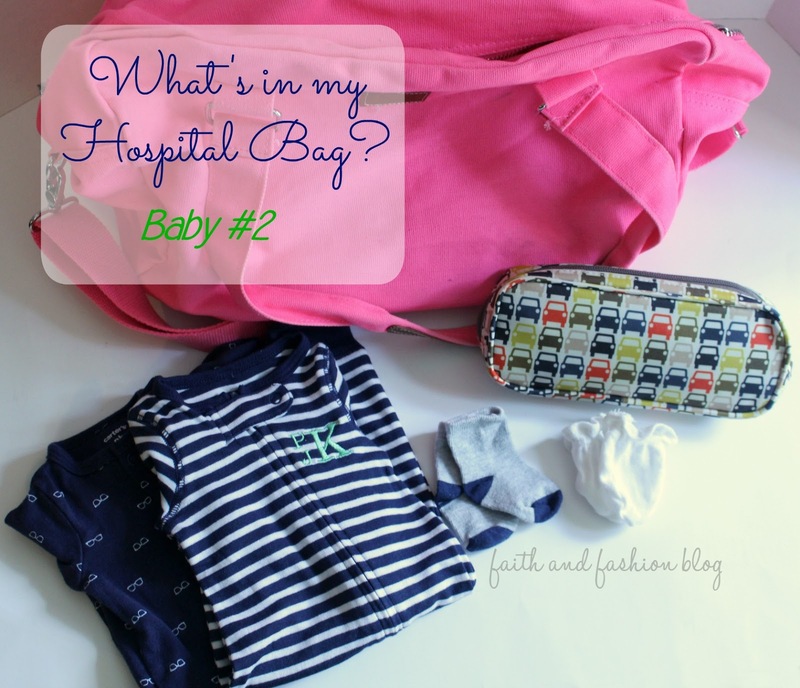 ICYMI, I shared a peek inside my minimally packed hospital bag, plus a few tips on what to bring and what to take home! 1.) My sweet friend, Joni, started up a blog called Southern Dirt Momma and I would love for you all to pay her a visit! She has the biggest heart and sweetest family; I just love all of the words of wisdom she has to share with fellow ladies and mamas!